HCM CITY (VNS) — Police in HCM City's Tan Binh District are completing procedures for a scrap collector to claim five million yen (US$43,000) that she had found nearly a year ago. Huynh Thi Anh Hong, 36, had found the money in the waste metal she collected and had handed it over to the police. The owner of the money is yet to be identified. Hong is likely to be given the money if its owner is not found by April 28. Last March, Hong bought an old metal loudspeaker for VND100,000 ($4.5) from an unknown man near her rented house in Tan Binh District's Ward 10. 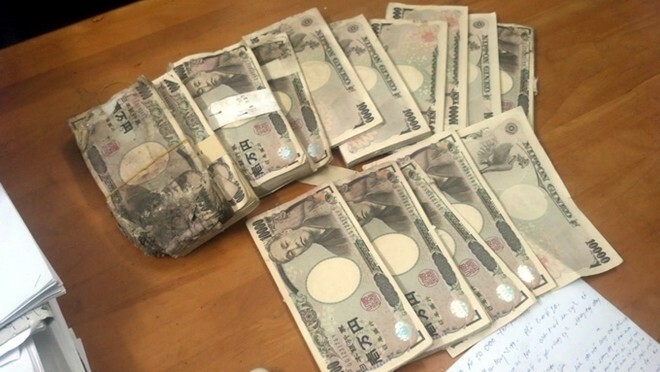 They found a wooden box inside the loudspeaker, in which there were Japanese banknotes. Hong handed over the money to the local police after several strangers surrounded her house, asking her to share the money. Ever since the case was reported in the local press, legal experts and the public have debated over who should get the money in case the owner failed to claim it. Under the current law, Hong can likely claim the money a year after its discovery, if it is classified as ‘ownerless'. However, she might receive an amount equal to 10 months of minimum wage and 50 per cent of the excess value, if the money is classified as ‘abandoned'.